When I began disagreeing with my doctor about the birth plan in the middle of my fourth pregnancy, I realized that having a home birth might just make the most sense for my family. I’d always secretly wanted to have my baby at home and was involved in a supportive natural birth community. At 32 weeks along, I broke up with my doctor and never looked back. 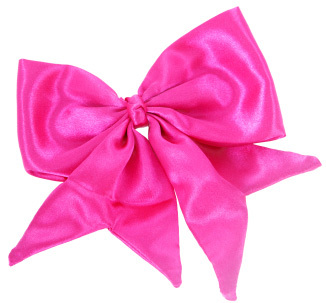 We were expecting our first girl and had heard that the hospital often glues a bow to the baby’s head if she’s a girl. I appreciated the nice gesture but immediately added to the birth plan document: “No bow glue.” No bow glue? Really? I have to put this in my birth plan? It seems so incredibly silly these years later, but it meant everything to me at the time. I wanted to have my baby in as close to a home-like setting as possible, with no unnecessary interventions. And certainly no bow glue. The day my doctor refused to go along with my wishes to cut the umbilical cord after it had stopped pulsing is the last day I was his patient. All I wanted was to delay cord clamping, which would be around the time my placenta delivered if they let it all happen on its own. But he thought my desires were invalid, so I broke up with him. I scheduled an appointment to meet in his office and told him that I would no longer need his services. I was going to have my baby at home. It was important to me to tell him in person and not just suddenly stop coming to my appointments. I wanted him to know, and he responded with, “We shall agree to disagree.” I floated out of his office and never looked back. Choosing to have a home birth is one of the best decisions I’ve ever made. For us, it absolutely made the most sense, and by God I got to birth my own placenta! It happened just as I thought it would: A few minutes after my baby girl was born and already at my breast. I didn’t feel a thing, but my midwife gently mentioned I should give a little push. In the dimness of our candle-lit bedroom, I had my baby and placenta, no big fanfare, no interventions -- and it was perfect.